Sports marketing research company, Repucom, released their list of top ten most marketable footballers in the world, as of May 28th, 2014. Global awareness, Facebook likes and Twitter followers were some of the criteria used for ranking the players. 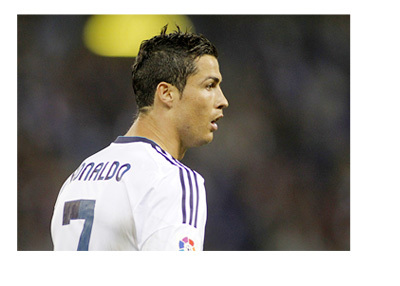 The Portuguese football superstar, Cristiano Ronaldo, who is known by 83.9% of the people surveyed, tops the list. Ronaldo has won the Ballon d'Or best footballer of the year award twice and has most recently helped Real Madrid to their tenth UEFA Champions League title. The second place belongs to the four time Ballon d'Or winner, Lionel Messi, who is known by 76.1% of the people surveyed. It comes as a bit of a surprise to find that the Spanish center back, Gerard Pique, is in third place. Pique has won everything there is to be won in the game of football by playing for Man Utd, Barcelona FC and the Spanish national side. His relationship with the Colombian pop singer Shakira probably helped his rankings a little as well. Fernando Torres, who has just had three fairly rough seasons at Chelsea FC, is still enjoying the popularity he earned playing for Atletico Madrid, Liverpool FC and the Spanish national team. 'El Nino' is known by 59.6% of the people surveyed and is supposedly very popular in China.